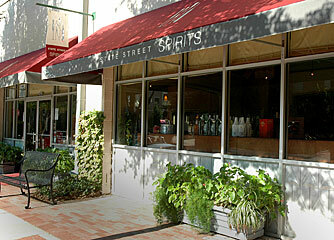 State Street Spirits is aptly named. After all, that’s what sets this cool new Uptown liquor store apart – spirit. The surprisingly inviting storefront at the corner of State Street and Allen is a place where people celebrate the art of entertaining. In fact, the whole place is a celebration – of good friends and good living. It’s where people can stop in, relax in a comfortable chair – and even learn a little something during a wine or liquor tasting. State Street Spirits is friendly, the selection impressive, and the prices are reasonable – especially since it’s one of the last purveyors of libations where service hasn’t gone the way of the drive-through. What’s more, once they’ve recommended the perfect pairing – a wine with dinner for two or cocktails for a reception of 300 – the knowledgeable staff can deliver in and around Uptown, or even across the street. State Street, that is.